Matz took the mound on Monday against the Boston Red Sox and struggled with location a bit in the first, but was able to get out of the inning unharmed. After walking two in the second, Matz was able to induce a fly ball to Tim Tebow in left field. However, Matz then gave up a single up the middle on a hanging breaking ball which allowed the Sox to score the first run of the game. Gorkys Hernandez then stepped in and took a Matz fastball over the left field wall to give the Red Sox a 4-0 lead, before getting J.D. Martinez to ground out and end the inning. Matz was able to finish his outing on a good note however, he was lifted from the game after 52 pitches in 2.2 innings and giving up four earned runs on five hits. 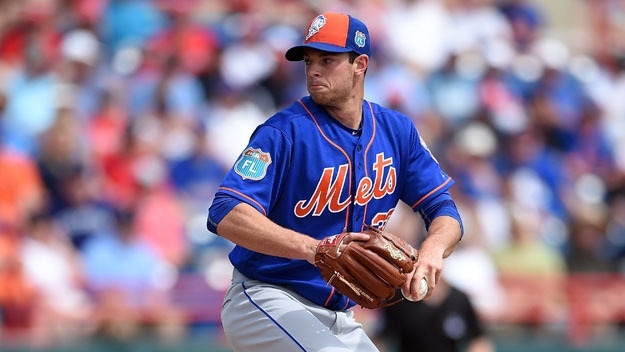 His issues with location during today’s game was a common theme and is something Matz absolutely needs to improve on during the season if the Mets want to contend in a superstar packed N.L. East.